NAIROBI, Kenya (CNS) — Although official reports say Mill Hill Father Cosmas Omboto Ondari was caught in the crossfire of government and opposition forces, the local bishop says Father Ondari was killed by government soldiers. Bishop Andrew Nkea Fuanya of Mamfe, Cameroon, said the 33-year-old Kenyan priest was shot dead Nov. 21 just outside St. Martin of Tours Parish, Kembong. “Eyewitness accounts say that he was killed by government soldiers, who were shooting at random from their passing vehicle,” the bishop said. Another man also was shot. He called for a thorough investigation and expressed sympathy for Father Ondari’s friends and family. “We trust that he died doing what he had offered his life for. He was serving humanity far from home and family, but he was one with the people of Kembong, who loved him so well and whom he loved so much,” said bishop. 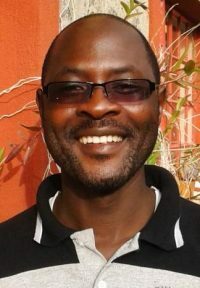 In July, Father Alexander Sob was killed in Cameroon, and his bishop also disputed reports of a stray bullet. In October, Charles Truman Wesco, a Baptist missionary from Indiana, was killed near Bambui, Cameroon, as he traveled to the market with members of his family. At a Nov. 27 news conference in Kenya, the nation’s bishops condemned Father Ondari’s killing and also the November death of Jesuit Father Victor Luka Odhiambo, killed Nov. 15 in South Sudan. “Our two priests died in countries that are in conflicts, although this can hardly justify as to why they had to lose their lives,” said Archbishop Martin Kivuva Musonde of Mombasa. He called for investigations into the two deaths.